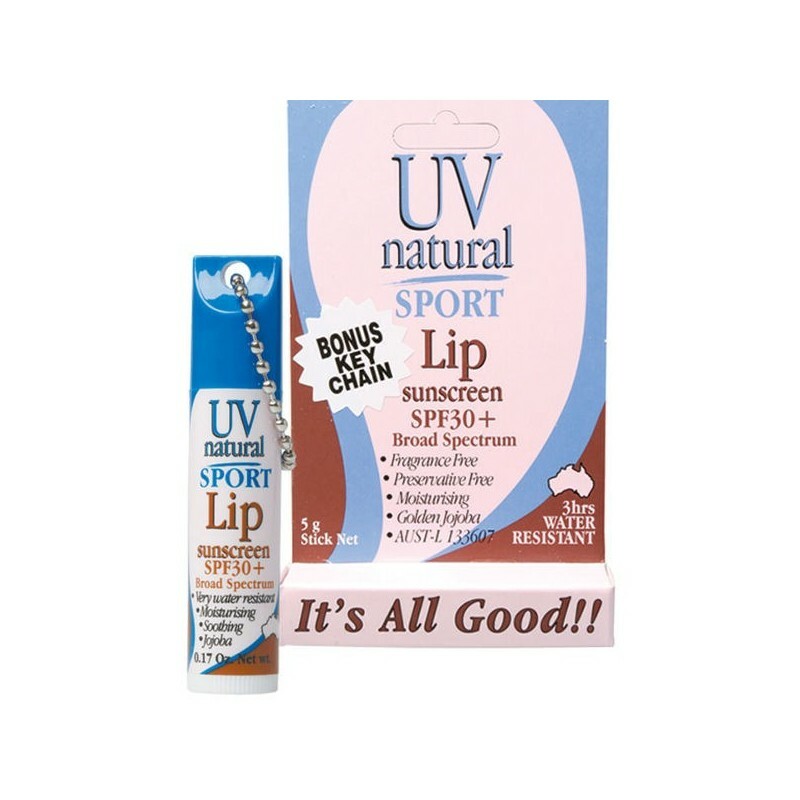 UV Natural SPF30+ lip sunscreen is a light and effective balm with moisturising golden jojoba oil and provides 3 hours of water resistant protection. Using naturally derived ingredients and zinc oxide to protect from the sun’s harmful UVA and UVB rays. Fragrance and preservative free. 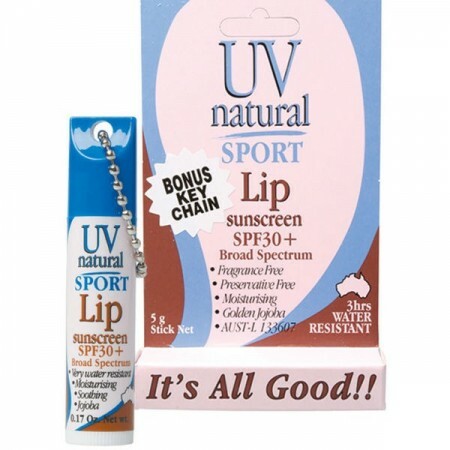 UV Natural lip balm sunscreen is free from preservatives and fragrances. UV Natural is based on Zinc Oxide, a physical barrier used to absorb and block the sun’s harmful UVA/UVB rays, rather than a chemical barrier. Please note that this natural sunscreen does not claim for the zinc to be "nanoparticle free". We stock this product because it does not contain harmful synthetic chemical ingredients. There is debate as to whether nanoparticles are harmful, and uncertainty about what constitutes a "nanoparticle" (particularly because there is no regulatory definition of the claim). We are following the assessment of two independent organisations. We present the information so that you can make an informed choice on which you prefer to avoid. You may be able to find chemical based sunscreen that is nanoparticle free. Environmental Working Group (EWG) states: "Zinc oxide is EWG’s first choice for sun protection. It is stable in sunlight and can provide greater protection from UVA rays than titanium oxide or any other sunscreen chemical approved in the U.S. (Schlossman 2005). Years ago, zinc oxide sunscreens, often seen on lifeguards’ noses, were famously white and chalky. Today, sunscreen makers use zinc oxide nanoparticles to formulate lotions with less white tint. A number of companies sell products advertised as “non-nano” titanium dioxide and zinc oxide. These claims are generally misleading. While particle sizes vary among manufacturers, nearly all would be considered nanomaterials under a broad definition of the term, including the definition proposed in 2011 by the federal Food and Drug Administration (FDA 2011b). The use of nanoparticles in cosmetics poses a regulatory challenge because the properties of nanoparticles may vary tremendously, depending on their size, shape, surface area and coatings. We don’t know everything we would like to know about their performance because manufacturers are not required to disclose the qualities of the particles used in their sunscreens. More research and more specific FDA guidelines are essential to reduce the risk and maximize the sun protection of mineral sunscreens. Yet even with the existing uncertainties, we believe that zinc oxide and titanium dioxide are among the best choices on the American market.